It has demonstrated world’s first all-electric, vertical take-off and landing (VTOL) passenger jet. Frankfurt: German drone start-up Lilium is seeking regulatory approval for the world’s first all-electric vertical take-off and landing passenger jet. Lilium has begun the process of securing certification for the planned five-seat air taxi from the European Aviation Safety Agency (EASA) and will also commence an application with the US Federal Aviation Administration (FAA), Christopher Delbrueck, the company’s incoming chief financial officer, said in an interview. Lilium aims to have a fleet of craft operating in cities across the globe by 2025, providing a pay-per-ride service that will be emission-free, five times faster than a car and produce less noise than a motorbike. The model, which achieved a first for a jet in 2017 when a prototype successfully transitioned between hover mode and horizontal flight, will have a 300-kilometre range — allowing it to travel between New York and Boston in just an hour. Delbrueck will join Munich-based Lilium as its first CFO in September after serving as acting chief executive officer at German energy company Uniper SE. He was head of finance during Uniper’s formation via a 2016 spin-off and listing of EON SE’s fossil-fuel power generation business. Lilium has raised $100 million to fund development work, including $90 million secured in 2017, though further financing will be required to go to full-scale production, Delbrueck said. Only once the business is up and running will the company be in a position to consider an initial public offering, he added. Gaining regulatory and public acceptance in the US is seen as a key step for Lilium, especially in light of the number of existing helipads and airfields that could host its craft and pare spending on infrastructure. Initial applications will assume a pilot is on board, though the model will be fully autonomous. There are more than 100 different electric-aircraft programs in development worldwide, according to Roland Berger. 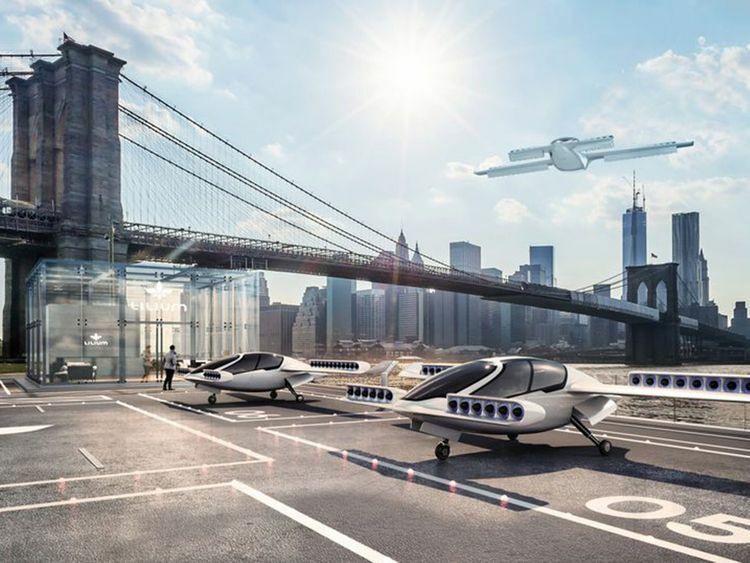 Lilium’s biggest competitors include Joby Aviation and Kitty Hawk, whose models are electric rotor rather than jet powered, as well as planned offerings from Airbus SE, Boeing Co. and Bell Helicopter, which is partnered with Uber Technologies Inc.